I have been out of pocket for a few days. 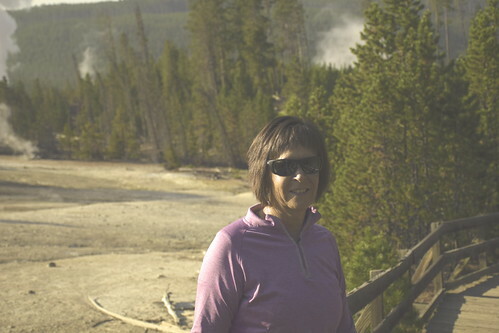 My sister Ellen who works as a seasonal Park Ranger in West Yellowstone, Montana for the Yellowstone National Park invited me up for a few days for a chance to see a bit of the park with her. She loves sharing the park. One of the first things we looked at was Gibbon Falls on the Gibbon River. A beautiful 84 foot drop of the Gibbon River. This is the view from a bit downriver. 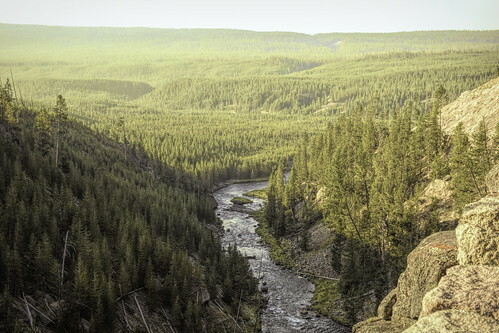 The Gibbon River is about 25 miles long and starts near the center of the park at the outlet of Grebe Lake and confluences with the Firehole River to form the Madison River. 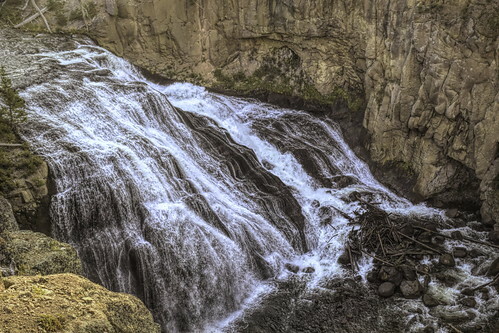 This is a view of the river downstream of the falls as it flows toward the Firehole River. 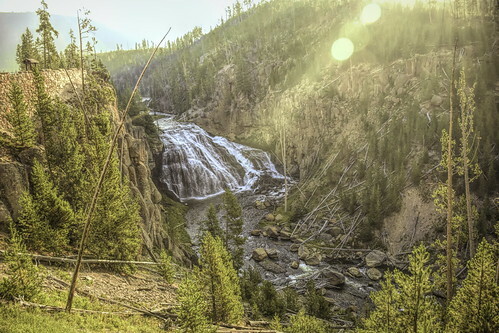 I came across a post talking about how the Park Service is starting a process to remove non-native fish like rainbow and brown trout from the river and re-introduce native species such as cutthroat trout. They are starting later this month and is expected to continue to 2020 or 2021. I love these kind of projects. Ellen tells me that the week I was there the visitor count had dropped off presumably because of schools starting. The park had the fewest people I have ever seen on my visits there. That being said, the parking lots fill up early and so you need to get up get out early to go see what you want to see. This is just a small bit of all that we saw in my few days at Yellowstone. I am trying to break my visit down into bite sized pieces to make it easier on me, and hopefully you. This was maybe my fifth time to Yellowstone and the first time I didn’t just do a drive by, and instead got to hike a little and spend some time getting to see things. When I was a kid, we did the standard 1960’s thing and just breezed on by and maybe stopped to see Old Faithful and maybe a few thermal features but then it was back in the car and head out. How about you? Have you ever been? This entry was posted in Our World Tuesday and tagged Conservation, Gibbon Falls, Our World Tuesday on August 19, 2018 by Alan Bates.